Vietnam (1981-83), Mexico (1985-87), Thailand (1992-94), the United States (1995-1997), Indonesia (1997-2001) and Japan (2001-2004). John has also served in Damascus, Baghdad and Vientiane. 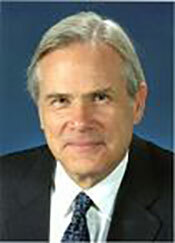 For the period 1994-95, John was Deputy Secretary in the Department of Foreign Affairs and Trade in Canberra. In 2004 he was appointed as High Commissioner to India, serving in this role until 2009. Born in Washington D.C., John was educated at Cambridge University where he received a Master of Arts and a Bachelor of Laws degree. He is a barrister-at-law andpracticed in London from 1965 to 1966. He worked with the New York law ﬁrm of Shearman & Sterling from 1966 to 1967 and joined the then-Australian Foreign Service in 1968. He has two daughters. Mr McCarthy is now Chair of the Australia-India Council and National President of theAustralian Institute of International Affairs.